TRUE DOLL HOUSE! 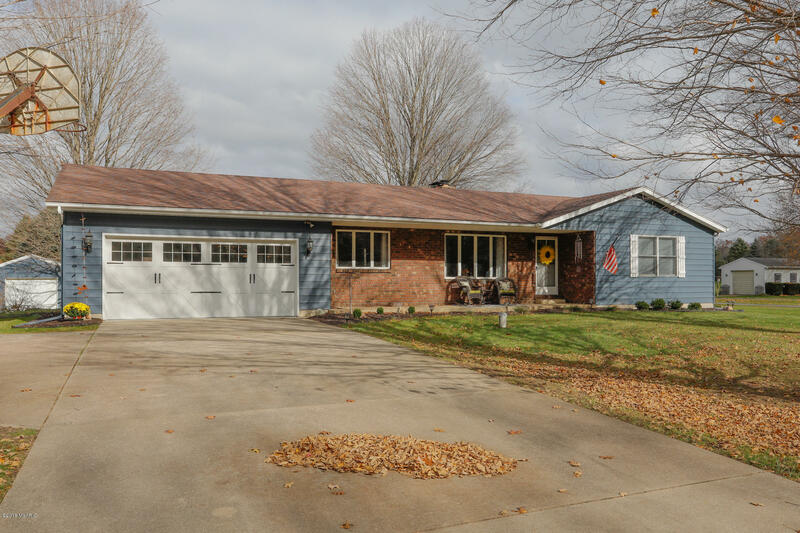 This 3 bedroom rancher is immaculate and is move in ready. The main floor features a laundry room, an updated kitchen (with stainless steel appliances,) a cozy family room equipped with a gas log fireplace, formal living room and dining room. The basement has so much potential. There is a large family room with a wood burning stove and a fun game room with pool table. In addition to storage there is also a room that could easily be made into a 4th bedroom if desired! The private backyard includes a storage barn with overhead door and electricity and a beautiful stone fire pit.